Using the findings of historical Jesus studies, William Brosend asks, what is the rhetoric that characterized the preaching of Jesus in the Synoptic Gospels, and how may today's preaching benefit from it? 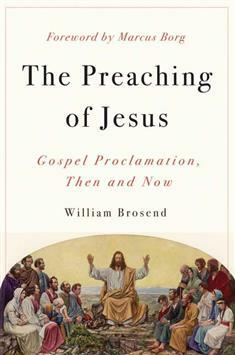 This book for preachers and students of preaching helps the reader see four distinct aspects of the rhetoric of Jesus: dialogical (preaching in response to challenges and questions); proclamatory (making bold and authoritative statements); occasionally self-referential (though less so than in the Fourth Gospel); and persistently figurative (illustrating his message through metaphor). Brosend spends one chapter on each of these methods, closing each chapter with a sermon that models that approach and his analysis of it. Sample sermons are by well-known preachers including Fred Craddock, Michael Curry, Tom Long, and Barbara Brown Taylor. Brosend concludes with the implications for modern preaching and a sermon of his own.